Continuing with this month’s theme our quote this time naturally comes from a famous Pisces, Dr. Seuss, born March 2nd, 1904. 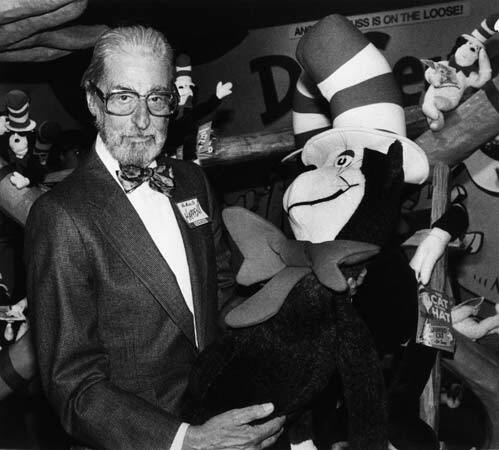 Descended from German immigrants, Theodor Seuss Geisel was an American writer, poet and cartoonist, best known for his children’s books, which no doubt many of you will have read growing up. He published a total of 46 children’s books, each one infused with his imaginative characters and rhymes. Some of his better-known titles are Green Eggs and Ham, The Cat in the Hat and Red Fish, Blue Fish– excuse me, did he say red fish, blue fish, and isn’t the symbol for Pisces made up of 2 fish? One of his later stories The Lorax, which chronicles the plight of the environment, was recently made into a movie and was released on March 2nd, 2012, which would have been Dr. Seuss’ 108th birthday. Seuss died in 1991 at the age of 87, which was still pretty good!